Have you been hoping to reduce energy costs during the colder months of the year? Perhaps you have a new child on the way and your home needs to offer warm temperatures when the weather outside is less than forgiving. In either of these circumstances, the benefits associated with double-glazed windows should never be overlooked. Why is double glazing in Maidenhead and the surrounding areas an excellent option and what are a handful of advantages that you can expect to enjoy? As the term already suggests, double-glazed windows are comprised of two separate panes of glass. A thin layer of air is found between these two surfaces. Although many consumers are not aware of this fact, air is actually an excellent insulator (think of wearing a down jacket while skiing). This unique thermal configuration enables double-glazed windows to retain much more heat when compared to their single-pane counterparts. In other words, your home will save a great deal of money in terms of heating expenses. 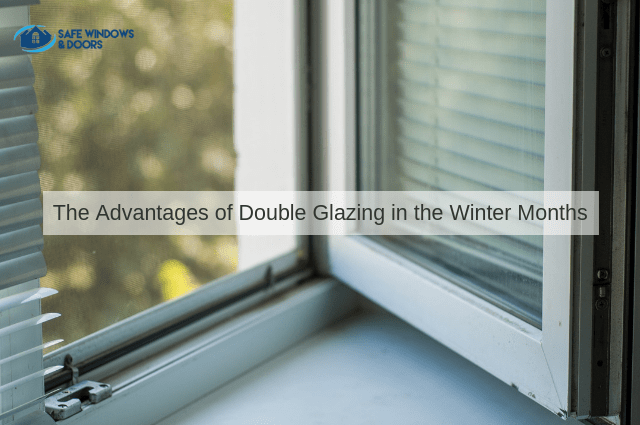 Although double glazing is a powerful option due to its heating benefits, there are additional advantages that should be mentioned. Quality installation services use only the most modern materials such as uPVC and aluminium. Not only are the units extremely lightweight, but they can withstand the harshest of elements and last for decades if properly maintained. This very same sense of versatility can be seen in the countless styles and design options to choose from. So, it has never been easier to match the existing decor of your home. These windows allow in ample amounts of light and thanks to the presence of air between two panes of glass, exterior noise pollution can be dramatically reduced. This is important for homes located along motorways or within busy urban districts. Have you been looking for a professional and reliable firm which provides double glazing in Wokingham? Do you wish to further appreciate the choices and options at your disposal? If so, Safe Windows and Doors is more than happy to explain our services further. We also provide a number of bespoke maintenance tasks at the request of the customer. As the winter will soon be upon us, there is no better time than the present to contact our team and to speak with a trained professional.